Max Verstappen could have avoided his collision with Red Bull teammate Daniel Ricciardo at last year's Azerbaijan Grand Prix, according to the team's motorsport advisor Dr Helmut Marko. The Red Bull duo had battled for much of the race, which ended in acrimony after Verstappen rear-ended Ricciardo. Ricciardo had several attempts at overtaking Verstappen in the race, finally making a move stick at the third time of asking. However, Verstappen was back ahead after overcutting his teammate during the pitstops and Ricciardo was once again on his teammate's tail. 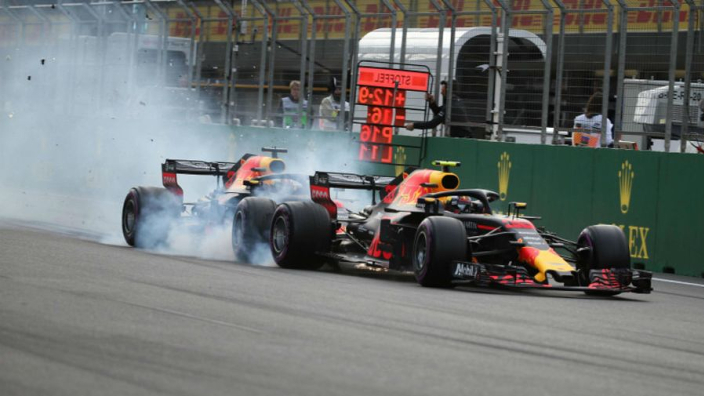 Another overtaking attempt would end in disaster as Verstappen swerved to defend his spot and Ricciardo ploughed into the back of him, something that Marko – some nine months after the incident – has now pinned on the Dutchman. The pivotal moment in Baku ???? Marko says the situation which put Verstappen back ahead of Ricciardo was not intended from the Red Bull pitwall. "Verstappen told us that his tyres were ready," Marko said. "His lap time had just dropped by more than three-quarters of a second. "Then Verstappen got the signal to come in and suddenly he drove two green sectors! With tyres that, according to what he had said earlier, were at their end."